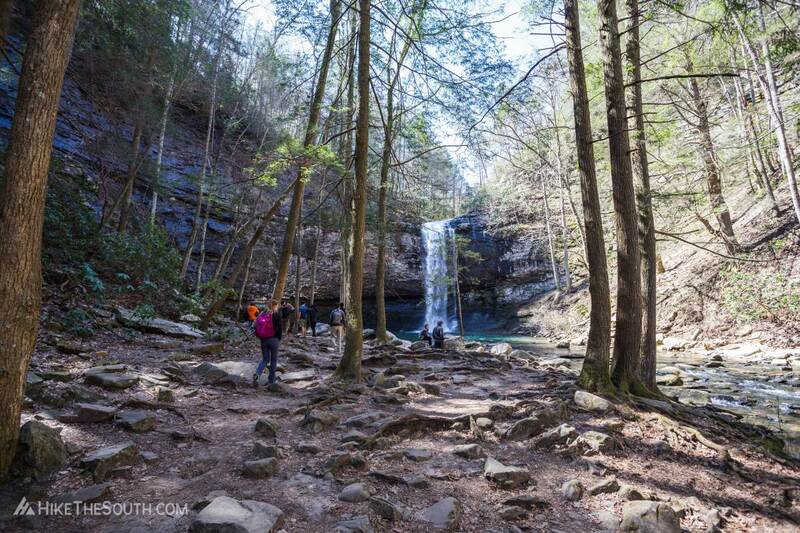 The most popular trail at Cloudland Canyon State Park, the Waterfalls Trail takes you down 600 steps to the base of two impressive waterfalls. The real hike, however, is getting back up. 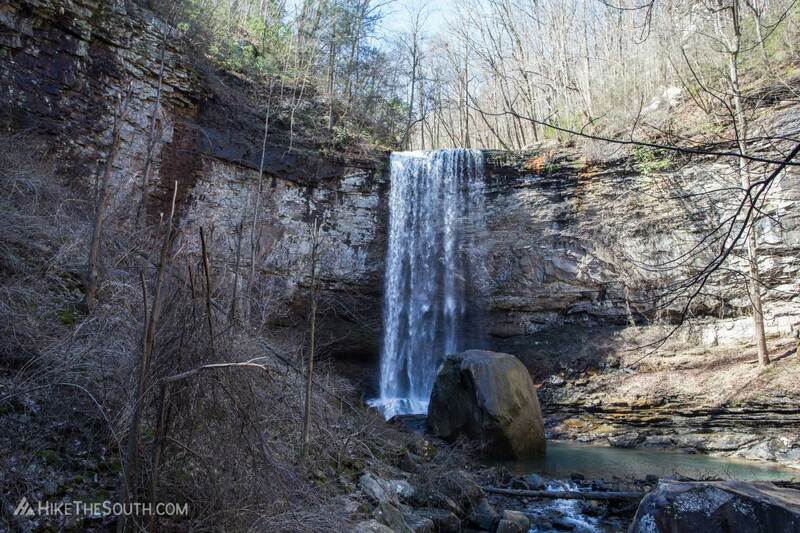 For those that don't want to settle for either views or waterfalls, enjoy both on this epic short hike. Begin this hike at the main parking lot. Although large, it will still fill up fast on weekends. Several short trails take you to the edge of the canyon where you can walk in either direction for amazing views to the north. 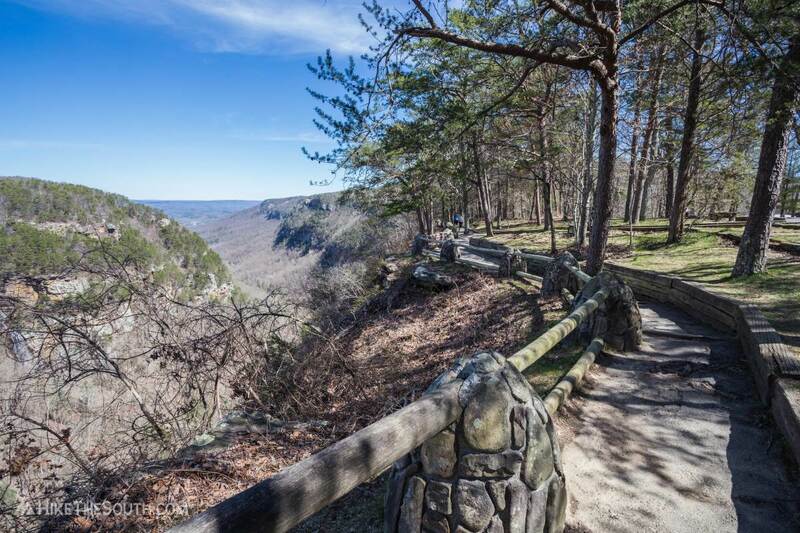 Head to the right to reach the Main Overlook, offering the best view of the canyon with less obstruction from surrounding trees. 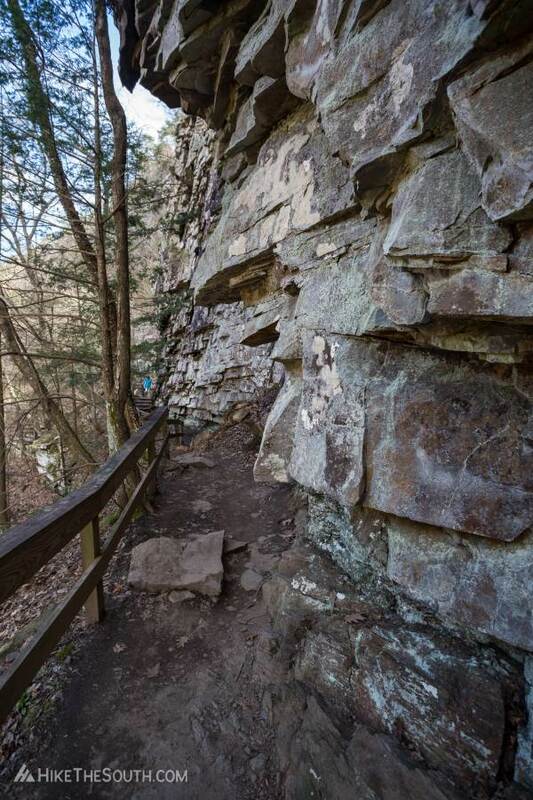 After you get your fill of views, follow the trail along the canyon wall to the left, following yellow blazes. Continue on behind a row of cabins before coming to two intersections with the West Rim Loop Trail. All intersections are well marked. Just follow the signs for the Waterfalls Trail. After the second intersection, the brown-blazed Waterfalls Trail officially begins. 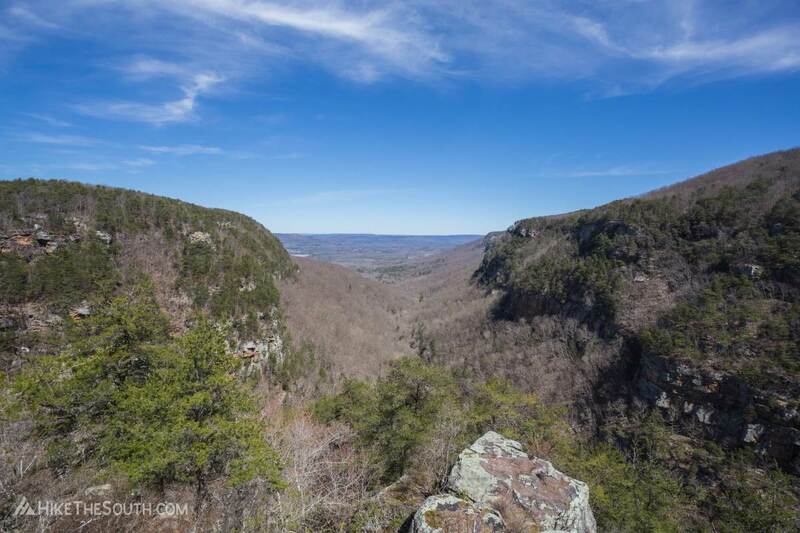 Begin your descent into the canyon, passing under huge rock outcroppings and along dripping rocky walls. There can be a few muddy places along here, but the trail is well maintained. 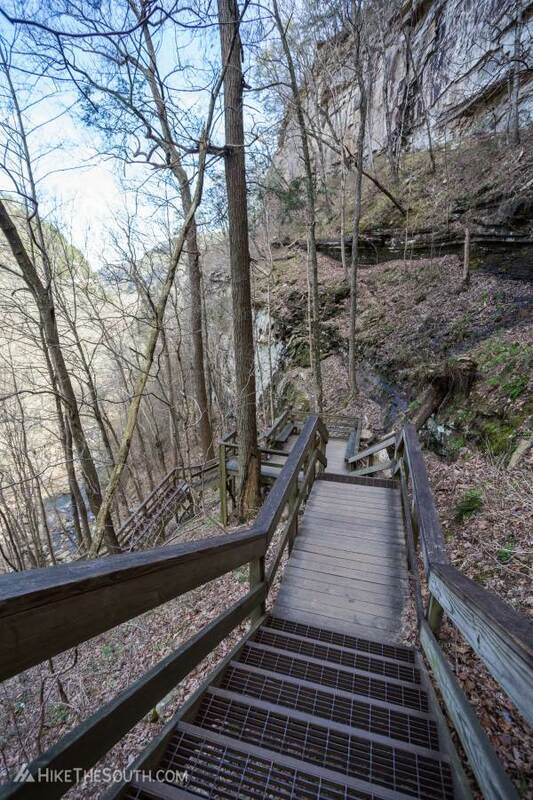 The majority of the trail will be descending metal grated steps, which can be a bit dizzying being able to see through where you're stepping. After a tenth of a mile, take the trail to the left for the first of two waterfalls. 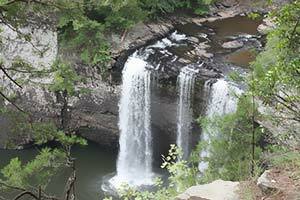 Cherokee Falls drops 60 feet along Daniel Creek and feeds into Hemlock Falls below. Continue down another .15 miles and 200 feet to the intersection with the Sitton's Gulch Trail. 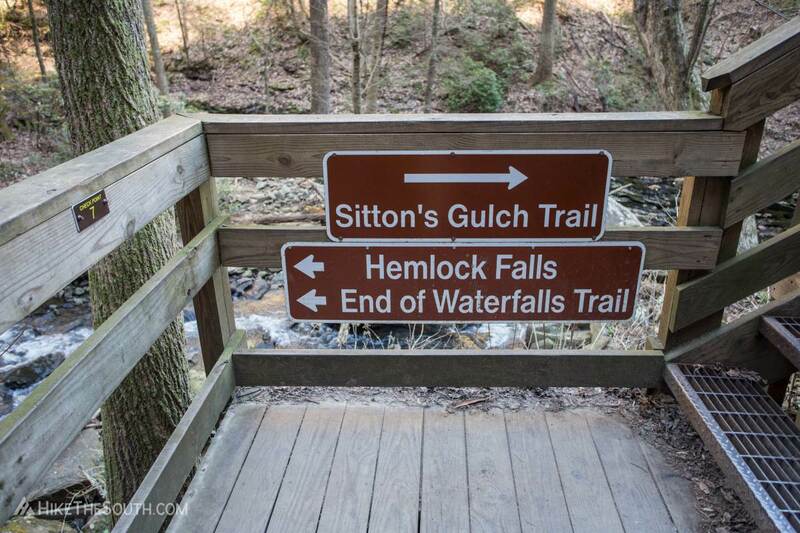 Turn left, following the sign for Hemlock Falls just around the corner. 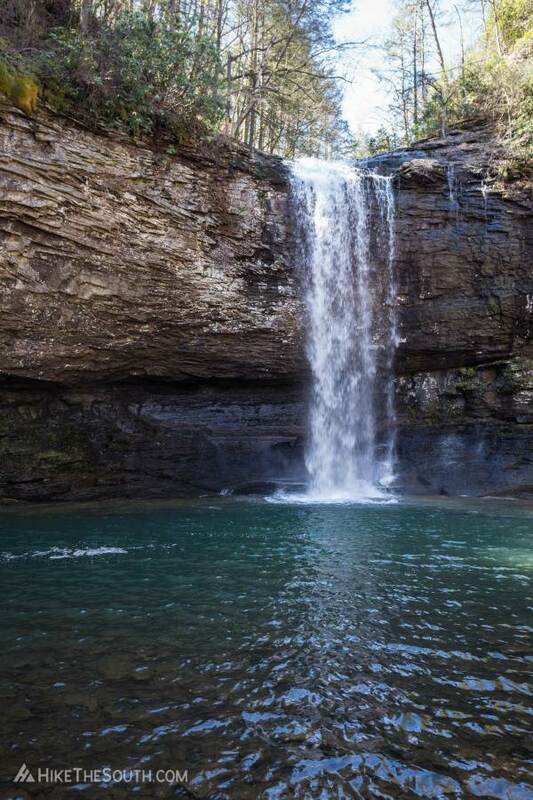 This larger falls drops another 90 feet but you can't get up close with this one, viewing it from an observation platform a short distance away. Now you have to deal with the consequences of your actions and climb back up. 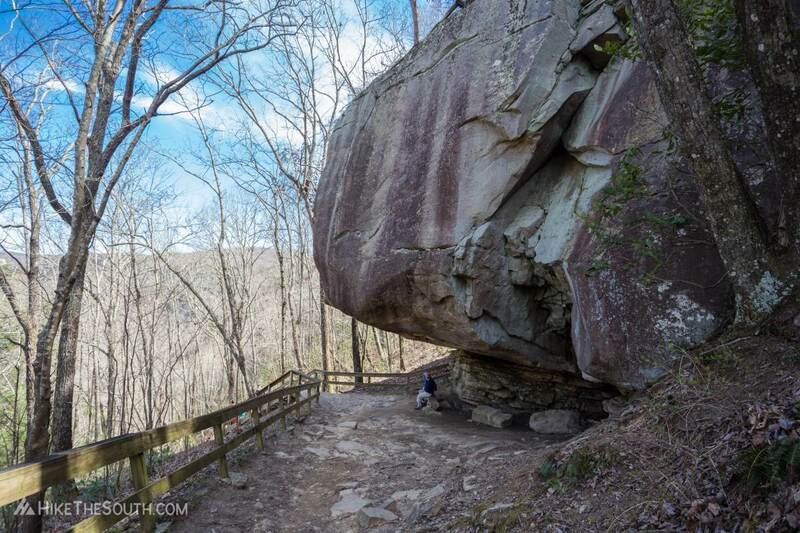 Good thing there are benches on the way up to sit down and catch your breath. 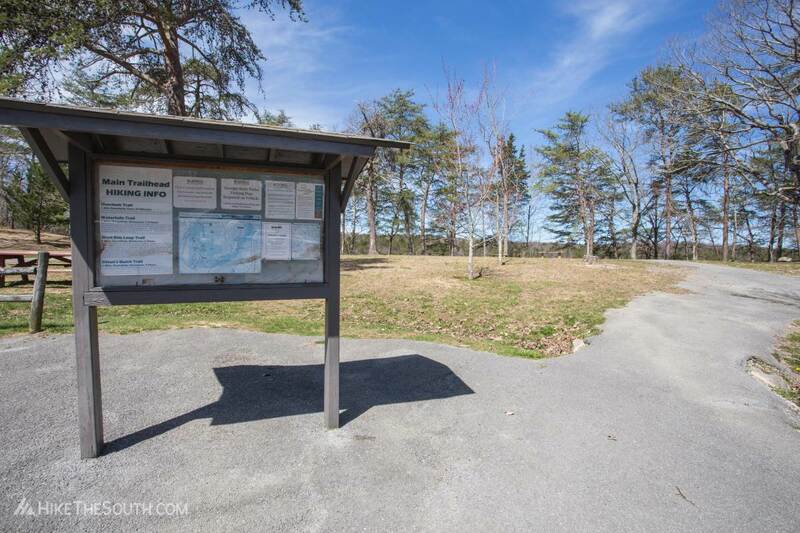 From the pay station, take a right to stop by the Visitor Center or go straight for 1.4 miles to get to the parking lot and trailhead. More than 100 parking spot across several small lots. 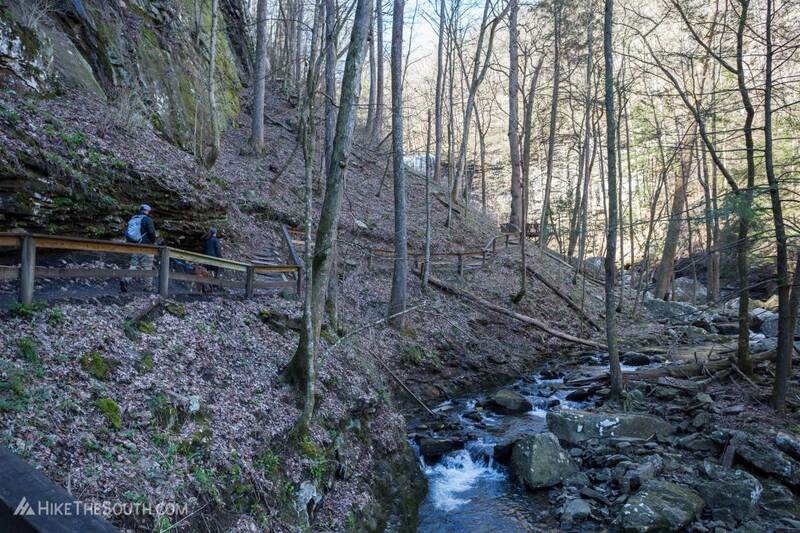 Dogs are allowed at the park, but the grated metal steps leading down the Waterfalls Trail may be uncomfortable for most dogs. Get immediate gratification with amazing views right from the parking lot. Then put in a little work to hike down to two impressive waterfalls. 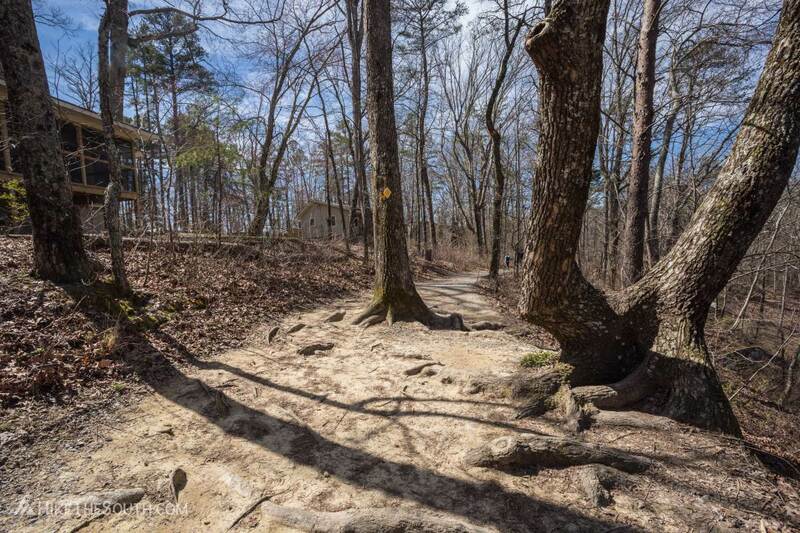 If you only do one trail in the park, this is the trail to do. 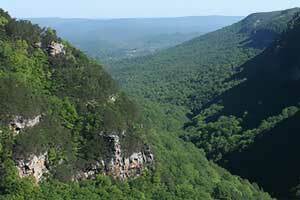 But combine this with the Sitton's Gulch Trail or the West Rim Loop Trail for a longer adventure.